Whether an everyday casual look or that formal night out, we can discuss that perfect look just for you. From a fashionable, practical style that matches your lifestyle, to something sassy for that special occasion. 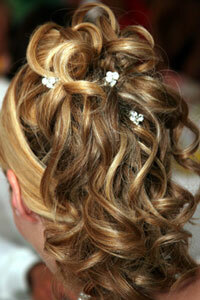 We can create a hair style that highlights the best of you. A haircut starts with a consultation discussing about your face shape and your life style. My goal is to create a cut to bring out your best features, easy for you to maintain and giving you something a little bit special so your haircut stands out from the crowd. Blow Drying is an art. For the look you want to achieve that will last more then one day, its important to use the right products for your hair texture. 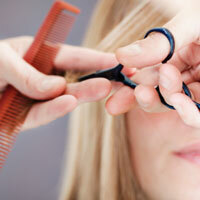 Along with the right brush to maximize volume, a curl or a straightening iron may be beneficial. Everyone wants to look great for that special date or event and whether it's prom, homecoming or your wedding day... I understand the importance of looking your best. I can create unique and beautiful up-dos and styles for your special occasions.